Cozying up with a soft, warm dog or cat may seem appealing, but more and more people are finding that their pets actually disturb their sleep, a new Mayo Clinic study suggests. As many as 10 percent of pet owners who visited the Mayo Clinic's sleep center said that their pets sometimes disturbed their sleep. That's up from just one percent in a 2002 Mayo study. "The study determined that while the majority of patients did not view their pets intolerably disturbing their sleep, a higher percentage of patients experienced irritation -- this may be related to the larger number of households with multiple pets," Dr. Lois Krahn, a Mayo Clinic psychiatrist , said in a statement. 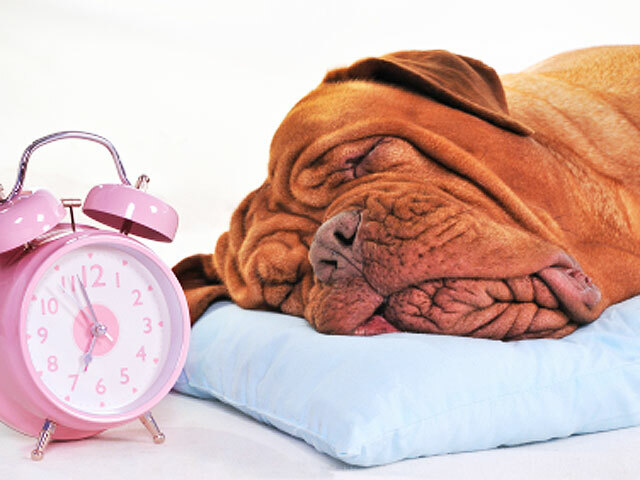 "When people have these kinds of sleep problems, sleep specialists should ask about companion animals and help patients think about ways to optimize their sleep." Pet ownership and the number of pets per household in the U.S. are now the highest in two decades, the researchers noted. The study authors analyzed information about pets provided by 110 patients as part of a sleep questionnaire, conducted at he Mayo Clinic Center for Sleep Medicine in Arizona between August and December 2013. The patients answered questions about the type and number of pets they owned, where the animals slept, how they behaved and whether they bothered their owners at night. Many of the pets were allowed to sleep on the bed, and, in fact, one pug "preferred to sleep under the covers, which was disturbing to its owners," the researchers wrote in the study. Some of the disturbances by pets that patients complained about included whimpering, wandering, snoring, the need to "go outside" and even seizures. About 46 percent of the patients at the clinic had pets, and 42 percent of the pet owners had more than one animal at home, according to the survey. One household, for instance, had five dogs -- four chihuahuas and a basset hound -- plus a cat. Dogs, cats and birds were the most common pets in the study. "One patient owned a parrot who consistently squawked at 6 a.m.," Dr. Krahn said. "He must have thought he was a rooster." The study is presented this week at the 29th Annual Meeting of the Associated Professional Sleep Societies.